I am proud to be kicking off a new music project that I hope will be take off over the next several months. 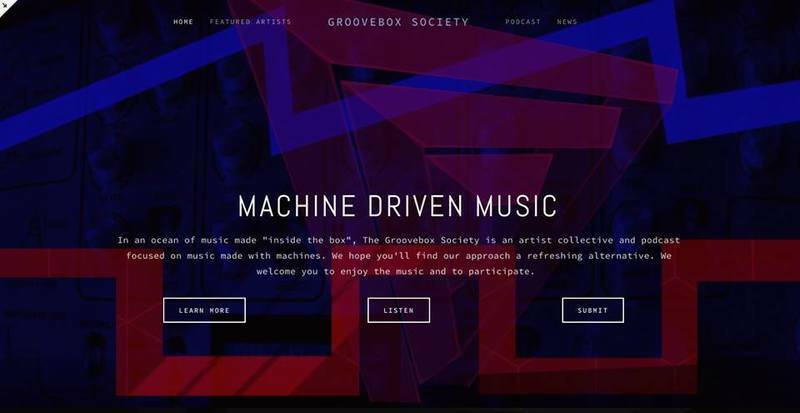 The GrooveboxSociety.com will be an online artist collective to showcase music and musicians creating with Grooveboxes and hardware synthesizers. Hardware synthesizers have experienced a renaissance over the past several years and there have been more interesting devices released recently than ever before. It is with this in mind that I hope to create a site that educate people on the tools and introduce them to the musicians using these tools. Our first major project is to launch a podcast to feature the community's music, establish the artist collective and to get our presence through a medium that can allow people to easily listen to and share our music. The audio podcast will also be a good way to also establish a means to develop interviews with the artists in our community, talk about and share those creative processes with listeners. Part of this journey is about the means and methods of production in addition to the music. I'm really excited that this site could take off.